Nandi Hills is a popular spot for Bangaloreans. It has nice picnic spots for families. The temples around Nandi are very beautiful. Thos into trekking too can venture into Nandi. Nandi Hills is a scenic location in Karnataka. Know more about sightseeing options, activities, and temples in Nandi Hills. How to reach Nandi Hills?. Nandi Hills is set to become a spot for adventure sports. Visitors will be able to enjoy various activities in the evergreen hills. Read on to know more. 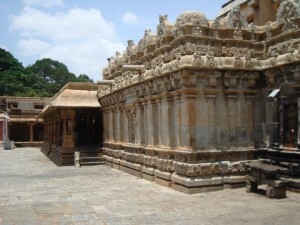 Chikballapur, a small town near Bangalore is developing into a tourist and economic hub. Read on to know more about the nearby attractions and connectivity of Chikballapur. Grover Vineyards is located at the at the foot of the Nandi Hills in Bangalore. Find out more about the wine tours at : Grover Vineyards in Bangalore. The River Arkavati originates from Nandi Hills and is one of the largest mountain rivers in Karnataka. Find more about the rivers in Karnataka. If you ever have a desire to glide like a bird near Bangalore just drive down to Nandi Hills. Many trainers and professional paraglider pilots prefer Nandi Hills, due to the ideal terrain for paragliding. 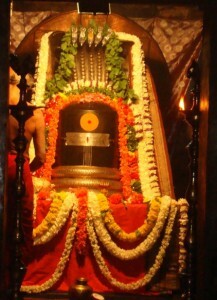 Bhoga Nandeeshwara temple near Nandi Hills is dedicated to Lord Shiva and his consort Parvati and Nandi; this is the oldest temple in Karnataka as it dates back to the 9th century. These are some of the one day trekking spots in karnataka.